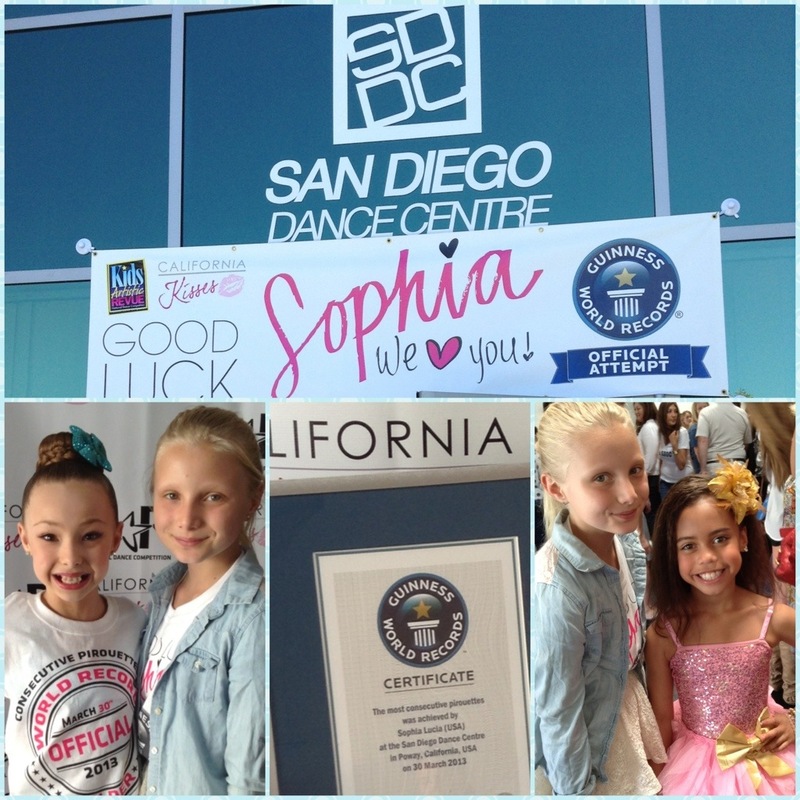 Sophia Lucia breaks world record for turns! 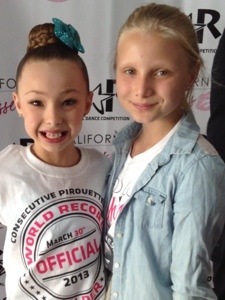 On March 30, 2013 10 year old Sophia Lucia attempted to break the world record for consecutive turns. The attempt took place at the San Diego School of Dance where Sophia has been going since he was 2. The old record was 36 and Sophia has been able to do up to 60. The attempt happened in a private room with a Judicator from the Guinness Book of World Records. 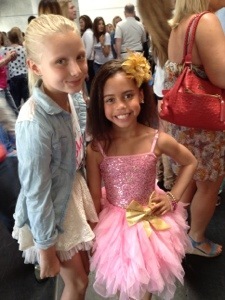 Her friend Asia Monet Ray who appeared on Abby Lee’s Ultimate Dance Competition came with her mother to show their support. She was allowed 3 attempts and in the third she turned 55 times! After she had a meet and greet with fans an friends who came to watch her. She received her certificate that day! SAN DIEGO, Calif., March 22, 2013 (SEND2PRESS NEWSWIRE) — 10-year-old dance prodigy, internet sensation and featured performer on the hit TV series on Lifetime, “Dance Moms,” Sophia Lucia, will attempt to break the Guinness World Record of “36 Consecutive Pirouettes” on March 30, 2013 in her home town of San Diego, Calif. 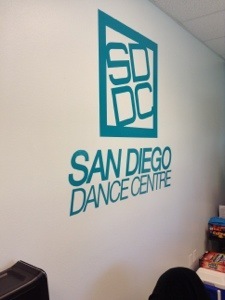 The event will take place at San Diego Dance Centre, where Sophia started dancing at the young age of 2 years. 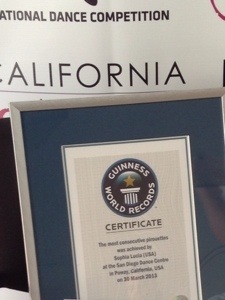 An official adjudicator from Guinness World Records, Philip Robertson will be on hand to witness Sophia’s attempt to break the current record for the most consecutive pirouettes, which was set by Alicia Clifton (USA) completing 36 pirouettes at the “Applause Studio” in Oklahoma, USA on December 9, 2005. 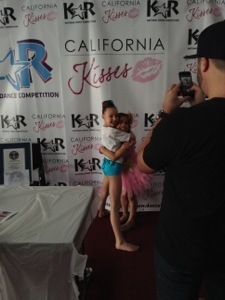 Kids Artistic Revue National Dance Competition and California Kisses Dancewear are sponsoring the World Record Attempt. “We are thrilled to help Sophia with this incredible opportunity and are proud to have this amazing dancer – and fashionista! – a part of our California Kisses team. There is no doubt that this partnership will bring on an incredible year in the world of dancewear!” said Angela Chittenden of California Kisses Dancewear. “Her ability, poise and presence on stage is incredible and if Dance was in the Olympics, Sophia would be a Gold Medalist,” says the Producer of KARtv & KARtv Dance Awards, Joe M Loera. EVENT DATE: March 30, 2013. Location: San Diego Dance Centre, 13125 Danielson Street, Suite 10, Poway, CA 92064. Meet & Greet will follow the attempt: 2:30 – 3:30 p.m. Produced by Kids Artistic Revue, Inc. and Joe M Loera. Kids Artistic Revue ( http://dancekar.com/ ), America’s Favorite Dance Competition, is excited to enter its 31th season! KAR was established in 1982 by Noah R. Lands to provide an outstanding outlet for dancers and choreographers to showcase their talents in the Los Angeles Area. Over the years, KAR has grown from 1 day regional competitions to hosting 3 day regional events with multiple venues each weekend across the nation. KAR has also expanded their Grand National Finals to four beautiful locations: Las Vegas, Myrtle Beach, Panama City and Toledo. KAR is proud to be one of the oldest and most successful competitions in the industry!